Golf loves rotation. 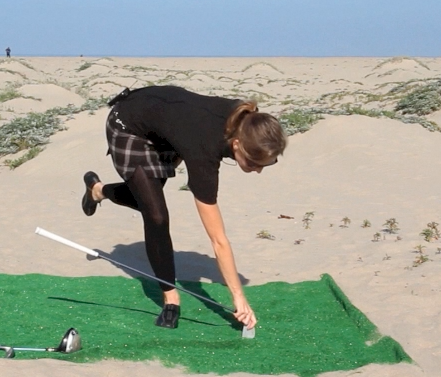 Golfers love to practice rotation. I’d like to challenge you to add balance to that rotation. Because that’s what you do when swing the club, right? You swing, you rotate, and you balance. Here’s a great exercise to put all that together!